Morning Bell is a way to enter stillness on even the busiest of days, seeking that still point of our belovedness from which everything tough may be faced, and from which everything good can emerge. Here’s the flyer image for the Devotions series – exploring prayer through a series of Ian’s haiku poems and images. 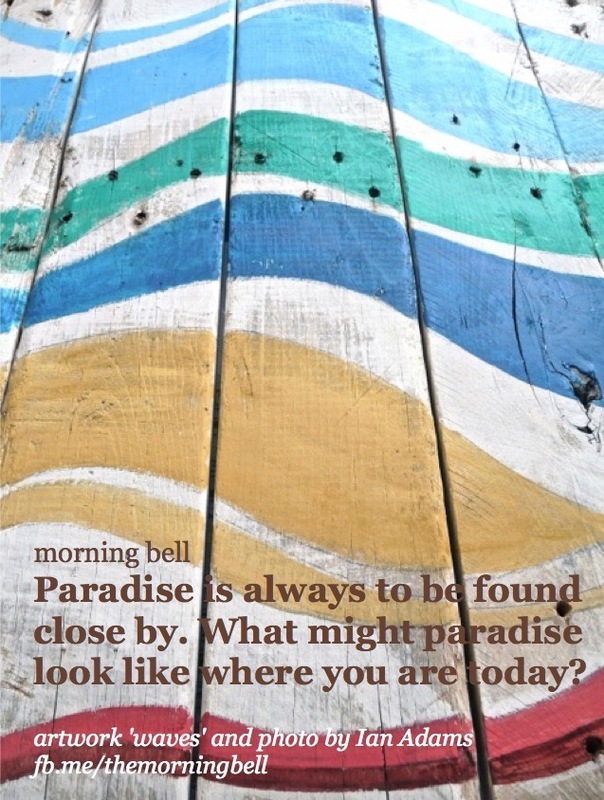 Morning bell is a daily image created and posted by Ian on social media or accessed by email. It began as a daily text message in 2008, and evolved into an image in August 2012. We think of it as an opening into a more contemplative life, and a way to step into the rhythm of the monastics, drawing on wisdom and prayer practice from within and around the contemplative tradition of Jesus. And here’s the first ever image Morning Bell from August 2012. 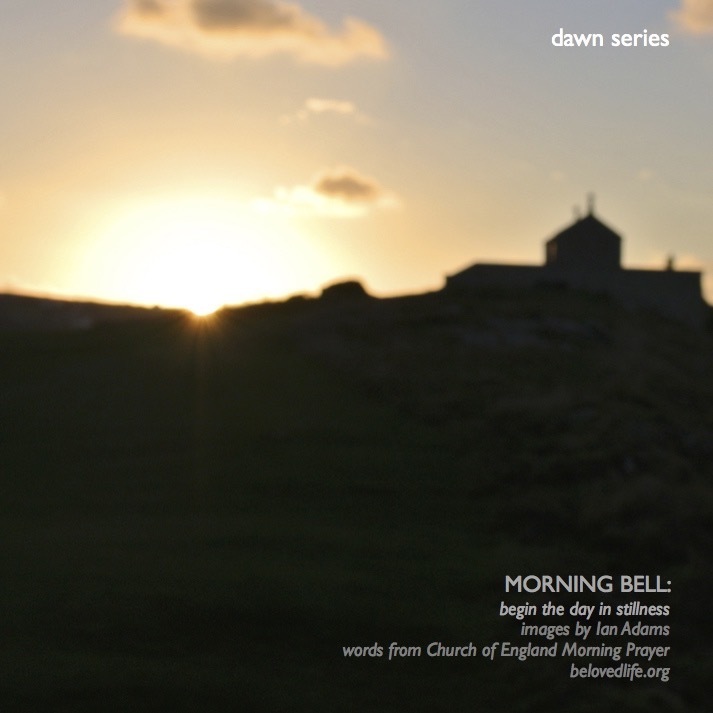 In October 2013 Morning Bell moved into its usual current format – a square shape particularly good for access on social media. Our aim is for the text to complement the image, but never to take it over. To see the introduction to the current series of Morning Bell click on the Morning Bell link in CATEGORIES in the sidebar to this page. This all looks great, but I can’t get the link to sign up for email after the captcha entry. Have tried a couple of times but no email has come though. Could I be signed up in any other way please? Hello, please can you subscribe me to Morning Bell? Thank you! Please can you subscribe me to Morning Bell – email and text (07801 249429). Thank you so much. Please can you subscribe me to Morning Bell. I recently saw Ian speak at Bloxham Festival and found his approach spoke to me.